Today marks the 354th day of 2015, and what a year it’s been. There’s been too much chaos and controlled fury to assess what we went through. We survived, we had fun, let’s never talk about it again. You’re forgiven for not keeping tabs on great classical releases this year amidst the madness. That job is reserved for nerd critics and classical music fanboys and girls. What follows are ten 2015 releases I’ll keep listening to in the coming year. They’re all aces, and they’re in alphabetical order. 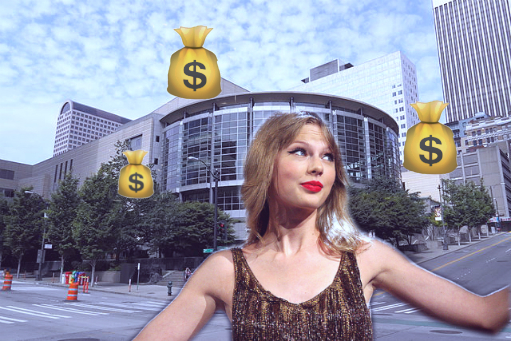 One-woman pop-music phenom Taylor Swift gave $50,000 to the Seattle Symphony last week. Fifty thousand? Talk about hush money. What dirt do they have on her?? No sane person donates to orchestras anymore. Sometimes your Instagram feed can seem like an endless parade of food photos, braggadocious vacation updates, and tired memes. You need a change, a healthy classical music infusion. The city of Berlin offers city dwellers an amazing proposition: an off-peak, all-access, year-long pass to nineteen art museums and research centers for a modest 25 euros. Since buying the pass in October I’ve been on a quest to visit as many sites as possible. Firmly resolved: it will get done. Most recently I went to the Alte Nationalgalerie. The Alte Nationalgalerie was completed in 1876 and renovated in 2001. It’s home to works by Rodin, Pissarro, and others you’d expect. Even better, it boasts a sturdy collection of German painters from the past three centuries.